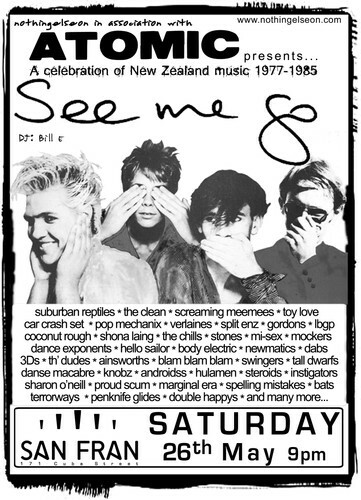 A night of all New Zealand music, all on vinyl. Regular Atomic & 24 Hour Party People DJ Bill E brings his usual taste for a great tune for a full night of NZ goodness. From the snake-hipped swagger of Hello Sailor and Th’ Dudes, through the raucous energy of Suburban Reptiles and The Terrorways, and a slew of great tunes from labels such as Propeller, Ripper, Reaction, Bunk and Flying Nun. From low-fi DIY to synth-laden pop, come and celebrate an amazingly creative period in New Zealand music.